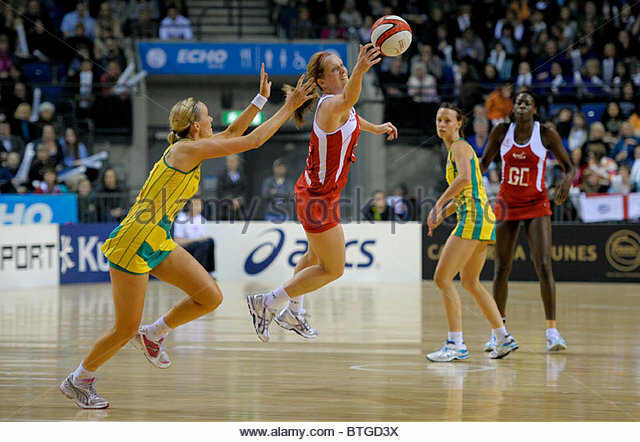 Despite this being a random post about netball, honestly, this is a post I have wanted to write for so long. Unusually for me, the reason I have held off for so long is not because I don’t know what to say, its that I have so much to say and I don’t really know how to fit it all in without becoming absurdly boring. I think, like most girls my age, netball was something we were routinely part of growing up at school. It was a part of P.E lessons and then, for me, became extra curricular as well. I can vividly remember the first time I had ‘proper’ netball practice after school and remember being excited and nervous about getting in the school mini bus to go and play other schools in matches, once our team was up and running. As I got older, I had less and less time for things like team sports and, despite playing in Secondary School, by the time I was in college it had fallen off my radar. Flash forward 7/8 years, I realised that I really missed a lot of different aspects about the sport; the nervous excitement in the build up to a league match, trying to eye up the other team’s shooter to see how tall she is and try to wiggle in some last minute game tactics. Then the match itself; total focus on the ball – where it’s going, who’s getting it next, how we can intercept.. Anyone who doesn’t enjoy completive sports is probably reading this thinking it is total dross and probably can’t think of anything worse then getting up early on a Saturday morning and playing an hour of netball in rain, snow and whatever else the weather can chuck at us. But I love it. Everything about it. When I started my current job just over 2.5 years ago, I was thrilled to find out they had an office netball team and needed more people to join. Ever since then, my love for the sport has just grown and grown. As well as playing for my work team, I also joined up with a local team who play in various leagues within Southampton Netball Association; we train once a week and play for just over an hour once or twice a week. Its a nice feeling to be around a team of 7-10 other women of varying ages, totally different backgrounds and very different personalities, all with the same goal (haha) in mind. Click img for source. Contact for removal. I felt really inspired recently to read this Guardian article about the mental and physical health benefits of netball (and other team sports). There is something to be said for having to completely block everything else out – once I’m on a netball court, there’s no time to think about whether I’ve remembered to sort lunch for the next day, whether I remembered to pay the council tax bill, or whether I managed to send a client that letter on time. It becomes all about the current environment and I find it so stress relieving. 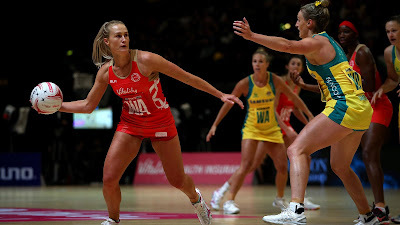 That said, as much as netball is a ‘non-contact sport’ (anyone who plays will probably be laughing at that phrase) it is really hard work – and amazing exercise. I say non-contact with a pinch of salt, because although the rules and umpires will tell you it is; I’ve had a sprained ankle, bruised and cut knees, scratches on my arms and multiple other injuries, that suggest otherwise! I honestly cannot speak enough about the benefits, both mentally and physically that getting back into netball have offered me and everyone who knows me knows how obsessed I am with it now! Even better, is that the sport is growing hugely in numbers. More and more women (especially in their late 20s and 30s) are getting back into netball and it’s so great to see. For anyone who does play, I love this (not serious) online quiz about finding which position you are.. At the moment I switch between shooting (sometimes) and mainly GD (shout out to all the tall defence girls out there).